Enjoy modern amenities at affordable rates at this Microtel Inn and Suites by Wyndham Philadelphia Airport hotel conveniently located two miles from the Philadelphia International Airport, five miles from football games at the Lincoln Financial Field, 10 miles from the Liberty Bell and the location of the signing of the Declaration of Independence at Independence National Historic Park. Admire the renowned collection of art at the Philadelphia Museum of Art just minutes away. Wake up to complimentary continental breakfast, and check your flight information with the complimentary wireless Internet access and free parking. Complimentary 24-hour airport shuttle service is available for your convenience. 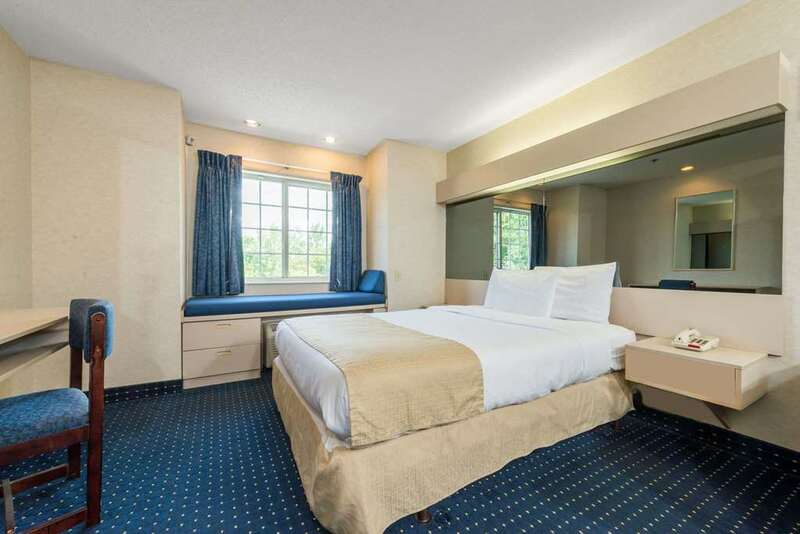 Refresh in your comfortable guest room with TV, hairdryer and complimentary newspaper. Suites, smoke-free and handicapped-accessible rooms are also available.